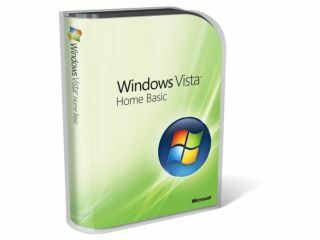 Amid reports that Microsoft is set to spend hundreds of millions of dollars to launch a new Windows Vista advertising campaign, comes the assertion that consumers investing in the beleaguered OS will 'pay it forward' into Windows 7. With support for XP being extended, and availability increased for the burgeoning sub-notebook range, Vista's already troublesome life is being squeezed by its predecessor and the looming arrival of Windows 7 in early 2010. To Microsoft's chagrin Vista's reputation has become that of a failure, which is making driving sales more difficult and this has prompted a huge investment in a new advertising campaign. As reported by Information Week, Vista consumer marketing VP Brad Brooks has admitted in a keynote speech to Microsoft's partners that "there's a conversation going on in the marketplace today and it's just plain awful. We've got to get back on the front foot. "Windows Vista is an investment in the long term," he continued. "When you make the investment into Windows Vista, it's going to pay it forward into the operating system we call Windows 7." It's yet more indication of a difficult time for Vista – but it will be interesting to see just what's meant by 'paying it forward'. We can only assume it won't mean a free upgrade to Windows 7. MIcrosoft's new advertising campaign is believed to centre around the phrase 'free the people', a term that is likely to bring a fair amount of, erm, gentle ribbing from the IT industry.